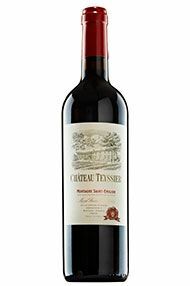 Ch Teyssier is located in the tiny wine appellation of Montagne Saint Emilion. The vineyard dates back to 15th century and it surrounds a charming 18th century Chatreuese. The vineyard covers 21 hectares on a clay/limestone hillside to the north-east of St Emilion, and has recently undergone considerable investment in the vineyard, as well as in the Cellar where the vinification chai was completely renovated in 1999. The grapes are vinified in stainless steel tanks and then aged in barrels, 30% new, for a year before bottling. The average age of the vines is an impressive 35 years and the annual production is 55,000 bottles. 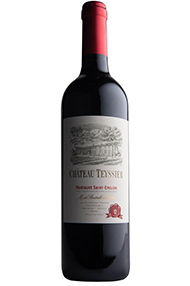 A true favourite among our customers, Château Teyssier delivers huge quality at its price point and we are very proud to have it in our range. 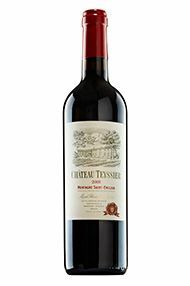 The 2014 vintage was a cool year for red Bordeaux and – true to the year’s reputation – this cuvée is defined by freshness and elegance, rather than power and tannin. There is plenty of bramble fruit on the palate, while the long finish shows charm and poise. Drink now to 2022. Ch. Teyssier is located in the tiny wine appellation of Montagne-St Emilion. 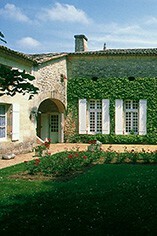 The vineyard dates back to the 15th century and surrounds a charming 18th century château. The vineyard covers 21 hectares on a clay/limestone hillside to the north-east of St Emilion, and in the early 1990s received considerable investment, with much work done the vineyard and the cellar. As a result, the quality of wines improved exponentially. Wines at this “petit château” level from the outstanding 2010 vintage are now at their prime. Here there are lovely evolved notes of plum and cedar, and a generous, neatly structured palate is driven by the equilibrium and exceptional conditions of the year. An over-achieving estate for a number of years now, this dense purple wine exhibits oodles of creme de cassis and licorice, hints of subtle barbecue smoke and toast, terrific texture and a long, succulent, fleshy finish. It is not all that dissimilar from the 2009 in terms of its flamboyance and drinkability, although I suspect that analytically the pH is slightly lower and the tannins a bit higher than those of its older sibling. Drink it over the next 10-15 years. Deeply coloured with ample, ripe berry fruits on the nose. The palate is rounded, and supple, with no hint of rustic winemaking. A laid-back style of wine which is both pleasingly fruity but intriguingly savoury. Drink now to 2017. Perfect with a warming casserole or a large hunk of mature cheddar . The wine (a blend of 86% Merlot, 12% Cabernet Sauvignon, 2% Cabernet Franc) really punches above its weight, a satellite appellation of St Emilion but in this case which tastes like a St Emilion. The Teyssier estate can trace its history back to the 15th century and the vineyard is now formed of a single holding which surrounds a charming 18th century Chartreuse. Montagne’ is one of the satellite regions of St. Emilion, sharing the same rolling hills and clay dominated soils as its more expensive neighbour. There is often a slightly clunky style to these wines but here, esteemed oenologist Michel Rolland has worked his magic, and the result is well balanced and very stylish.